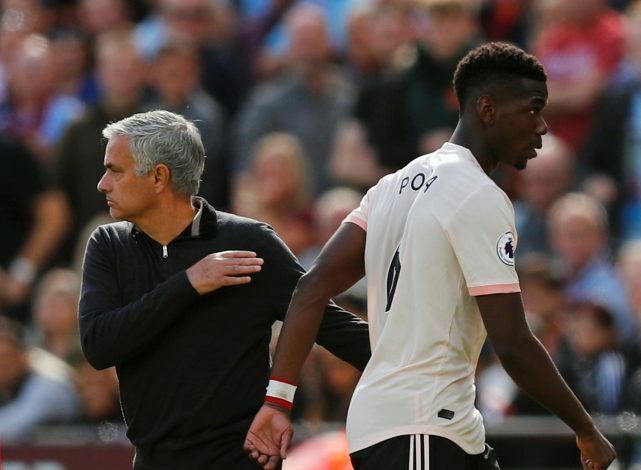 Paul Pogba had been involved in a continuous battle with former manager Jose Mourinho at Manchester United. The French midfielder didn’t see eye-to-eye with the Portuguese tactician, who ended up losing his job earlier this week. Mourinho was at the club for two and a half seasons, and won three trophies during the stint. United have been dismal this season, and are virtually out of the top four race. The day Jose got sacked, Pogba caused a stir with a social media post minutes after the news was confirmed. Pogba had posted a photo of himself alongside the message: ‘Caption this!’ much to the annoyance of former players, pundits, and fans alike. It was later stated that it was a promotional event by Adidas. United went on to appoint former club legend Ole Gunnar Solskjaer as the caretaker manager. And just two practice sessions later, his side successfully thrashed Cardiff City 5-1. There was a moment of respite for the club, as cheers and smiles returned to the faces. One player who really looked in high spirits was Pogba. The Frenchman played a key role on the night, and provided two assists at the Cardiff City stadium. After the game, Pogba was asked to comment about Jose in his post-match interview. And much to the surprise of everyone, he lauded the ex-gaffer, and said that the aim now is to only look forward.